There once was a time when premium Android phones reigned supreme. 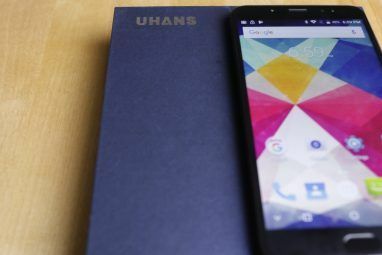 If you wanted your smartphone of choice to run Google’s operating system, you’d have to part with substantial sums of money to the likes of HTC, LG, or Samsung. Fortunately for those of us that want the flexibility of Android without the iPhone price tag, the market has changed since then. 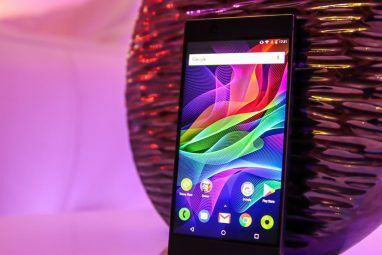 Relatively inexpensive Android phones began to appear, but they were poor quality and lacked standard features. Thankfully, this is no longer the case. Affordable Android phones now give the big name flagship devices a run for their money. Case in point: the Nubia Z17 Lite. Let’s take a closer look at this budget-friendly device with flagship features. Keep reading to find out what we thought of the device. There’s no denying that the Z17 Lite is an elegant looking device. The matte black body and gold trim of our review unit looks sleek, which is an achievement in itself as the phone verges on phablet territory at 5.5 inches. The matte black body does look great, but is slippy and susceptible to fingerprint marks. If you choose to buy the Z17 Lite, you’ll want a case. Bezel-less displays are gradually showing up on more phones, and while they may seem like a gimmick, the edge-to-edge screen on the Z17 Lite is impressive. The colors are immaculate and really seem to pop. It was surprising just how much positive impact the bezel-less display had on landscape video too. Despite the edge-to-edge display, the Z17 Lite has a large panel below the screen for the default Android touch screen buttons, with the home button illuminated by a red circle. The other two capacitive buttons aren’t illuminated, so unless you stumble across them, it isn’t immediately obvious that they exist. Following another recent trend, the Z17 Lite has no headphone jack. While there is a USB-C to 3.5mm converter provided, it’s clear that they, and many other brands, consider Bluetooth to be the future. You’ll find a fingerprint reader on the upper rear of the body. It worked without hiccup — for the most part. The sensor is a little on the small side, which can sometimes lead to finger placement problems. The Z17 Lite isn’t lacking on the camera front either, with a 16MP front-facing, and dual 13MP primary cameras. Images from both front and rear facing cameras are crisp, although seem to lack the depth of color found on most modern smartphones. Comparison images were taken on the Z17 Lite and the Google Pixel, and its easy to see the difference. The Pixel images are more vibrant and show greater depth. However, it is probably an unfair comparison, as the Pixel is known to have one of the best camera hardware and software setups. While the pictures taken on the Z17 Lite come out fine, this probably isn’t the device for photography enthusiasts. The device comes with dual-SIM support, and a huge 64 GB of internal storage. With all the hardware packed into the phone, you might be surprised that the Z17 Lite is a mere 0.3 inches thick. Weighing in at just shy of 170g, the phone is light and not the heavy burden you might expect for such a large device. Hardware is only a part of the puzzle, with the software experience playing a vital role in your day-to-day enjoyment. If the Z17 Lite used stock Android, it would be tempting to call it one of the best value smartphones on the market. Nubia chose a different path. The base operating system is Android 7.1 Nougat, with Nubia UI 5.0 running on top. To get a feel for Nubia UI 5.0, imagine combining iOS with Samsung’s TouchWiz interface and you are pretty much there. Google’s vision for Android is the one which suits me best, however, one of Android’s strengths is that it can be customized. Affordable smartphones usually only make minor tweaks to the stock experience, so its commendable that Nubia have invested time into making their devices unique. 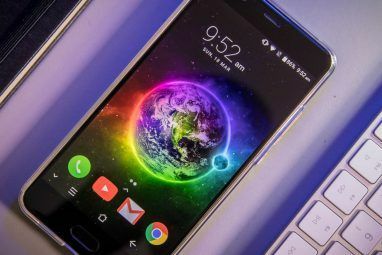 The Nubia Launcher is defined by the black and gold theme, with app icons placed into square boxes, going against Google’s recent circular icon trend. In a design move lifted straight from iOS, instead of an apps list, all installed apps are shown on the home screen. The Nubia UI also plays with some of Android’s native features. In a move lifted straight from iOS, the Quick Settings panel is found by swiping up from the bottom of the screen instead of in the Notification area. Unlike the monochrome theme of the launcher, the Settings menu is a colorful affair styled after TouchWiz. Anyone coming to the Z17 Lite from either an iPhone or another Android device will likely find the setup confusing. iOS is intuitive, TouchWiz is attractive — Nubia UI tries to be both, but ultimately falls short. Discussions about the software experience are great, but you have to boot the device first. This proved to be an unexpected challenge. The initial setup guides you through connecting to networks, adding your Google account, and restoring any backups. Inexplicably, whenever you tried to progress on the Z17 Lite, it would just refresh the page, and take you back to the start of the setup. This isn’t an isolated incident either. Fortunately the solution is relatively simple – don’t enter any information. Once the phone has booted, you can head into the settings to complete the setup. The Z17 Lite sports a relatively hefty non-removable 3200mAh lithium-ion battery. This is comparatively large, especially when compared against the Google Pixel 2’s 2700mAH. However, real-world performance is more important than size. We tested the Z17 Lite by playing a YouTube video in full screen, full brightness, and full volume. It lasted just over six hours before powering off. The Z17 Lite performs reasonably well on benchmarking tests too. The benchmarking tool Antutu gives the device a score of 83857, defeating 27% of users. If this figure sounds a little on the low side, consider the type of user that would install a benchmarking tool — typically reviewers and power users. The results are likely to be skewed slightly towards premium devices, so the fact that the Z17 Lite defeats almost a third of users is a reassuring sign. The real-world performance bears this out too — multitasking is a breeze, gameplay is fluid, and lag is non-existent. Nubia’s Z17 Lite is a testament to the power of Moore’s Law. Just a few short years ago, to find even a handful of the hardware features packed into this phone would have set you back a substantial amount of money. To achieve this without compromising on physical desirability is no mean feat either. Quantity doesn’t necessarily mean quality though, and the camera is one area that could use some improvement. However, for most of us, our smartphone camera is for recording memories, rather than pixel-perfect photography, so your mileage with the camera will vary. 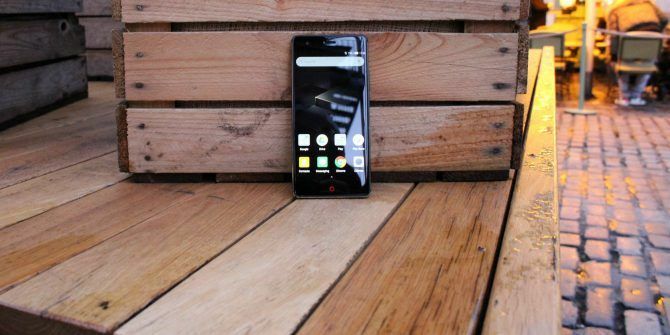 The Nubia UI 5.0 is undoubtedly different, and may not be to everyone’s taste. If aren’t a fan of the launcher, the great thing about Android is you can just install an alternative. The setup bug was unfortunate, especially as it creates a poor first impression. Once you get past that hurdle though, the performance and battery life exceeded expectations. Overall, the Nubia Z17 Lite represents astonishing value for money, and if you are on the hunt for flagship features without the price tag, then this may be the smartphone for you. 1. the resolution is 1080 x 1920, not 1080 x 920. 2. the phone is $170, not $230. 2. The phone was $230 at time of writing. I see it has gone down now, but we don't update prices as they are liable to fluctuate. Once a winner has been selected, the winner will be notified by email and the giveaway widget will display their name. I love this smartphone it so cool and stunning got all the features. Would be nice to have an up-to-date phone. 653 is a handsome midranger. It's a cheaper variant to this year's midrange king 660 and I'm all for it. Crossing fingers plus elbows. Good luck to everybody! Thanks MUO!